The Inland Tlingit community of Teslin is located on the shores of Teslin Lake in the southern Yukon. The community was first settled in the mid 19th century by Coastal Tlingit traders and explorers who had been travelling inland regularly in earlier times. The village became more permanent during the 1940’s when the Alaska Highway was built through the area. Prior to that time, the village site had been a summer gathering place where the people came to rest and spend time together during the busy annual round of trapping, hunting, and harvesting. The people brought with them their clan system, potlatch tradition, language, songs and dances, and traditions which remain strong today. The Teslin Tlingit Council was originally the Teslin Indian Band, a band under the Indian Act. The Chief and Council were elected by the majority and were responsible for the delivery of Indian Affairs programs. When the movement for a Land Claims settlement began in 1973, the Teslin Tlingit people were active participants in the negotiating process and in 1993 became one of the ‘first four’ First Nations to complete their agreements and to become self-governing. 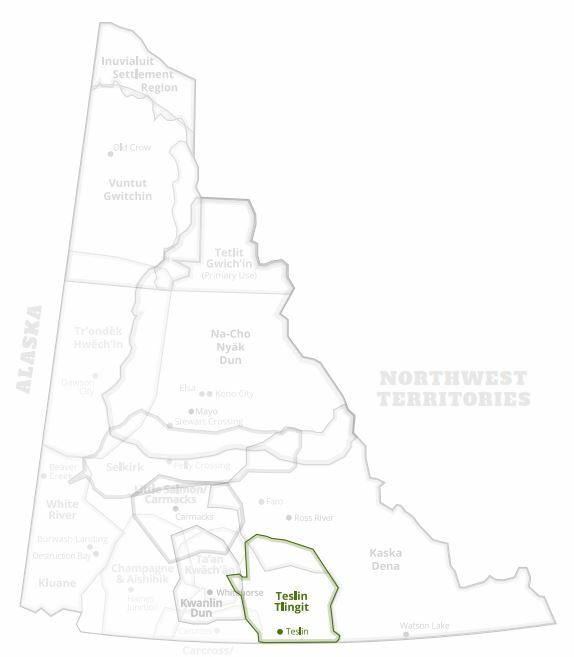 The Teslin Tlingit Council today operates as a self-governing First Nation with a land base of approximately 938 square miles and a compensation package of $18,655,066 over 15 years. This means that the First Nation is now able to make laws on their lands and on behalf of their membership. The Council is also able to take control over and deliver programs and services for their citizens. 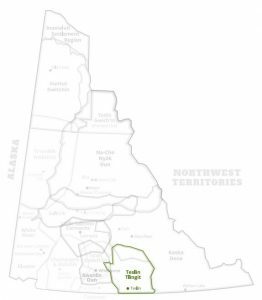 As a recognized level of government the Teslin Tlingit Council has a powerful voice in co-management of lands and resources within their traditional territory and along with other self-governing First Nations, within the Yukon Territory. Today the Teslin Tlingit Council has returned to a traditional form of government which operates through their clan system. The Chief is chosen by the General Assembly and the Elders, as are two deputy Chiefs, one from the Wolf side and one from the Crow moiety. The council is composed of five clan leaders, or spokespersons, who are chosen by their respective clans. As a group, this body provides the leadership for the First Nation and is responsible to the General Assembly, all citizens of the First Nation, which meets on an annual basis. The TTC is closely associated with other Tlingit-speaking nations and are members of the Daak Ka Tlingit Tribal Council which is composed of the Taku River Tlingit First Nation in Atlin, B.C., and the Carcross Tagish First Nation in Carcross and Tagish. The Teslin Tlingit Council is actively involved in the implementation process, attempting to build new ways of becoming self-sufficient in a contemporary world and continuing to prosper in the old traditional ways, retaining the language, culture and laws for future generations.